For several months now I’ve been reading Leadership in the Wilderness by Dr. Erica Brown. During that whole time I’ve been going back and forth in my mind about whether or not to write a review. I decided some time ago to only write reviews of books that I recommend you buy and read. That’s been my trouble with this book. There are aspects of it that I can definitely recommend. But, there’s another side of it that I’m not enjoying at all. There’s no doubt in my mind that the right leader at the right time can inspire his followers and cause them to excel. The opposite is also true. A weak leader can cause an otherwise strong group of people to perform significantly below their abilities. Almost every group needs a leader. This is true of small groups and becomes even more necessary for large groups. Being a leader of a nation is not an easy task. 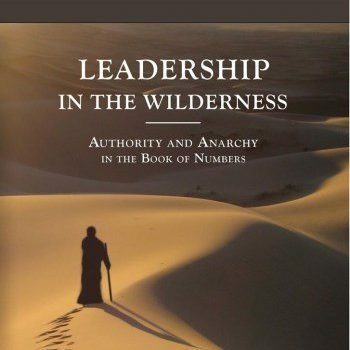 Dr. Brown explores the leadership tests that Moshe Rabbeinu faced in the wilderness. It seems that they never ended. From the moment he first spoke to the Jewish people enslaved in Egypt until the end of Sefer Bamidbar there is one crisis after another. Erica Brown seeks to peek beneath the surface of the Biblical narrative and understand Moshe as a person. Why did Moshe act in a particular way? What can we learn about leadership from this event? These are important questions. I believe that Dr. Brown’s approach can teach every reader important principles of leadership. I do have some issues with Dr. Brown’s use of the Torah text and her commentary on it. In her book I’ve found several instances where her commentary grates on me. Let me share just one with you, some of her commentary on the story of the meraglim – the spies. The problem between these two passages is clear. Did Moshe send the spies because God commanded it or because the people demanded it? Virtually all of history has its accompanying revision, and this passage is no exception. This is clear from the fact that Mosheh Rabbenu asked Hashem whether or not spies should be sent into Canaan before the invasion and received the answer: “Send for yourself: it must be your decision.” The true position was withheld from him because it was necessary for Israel to be given a test. According to R. Dessler the passages in Bamidbar and Devarim contain different details about the event. We need both passages to get the full picture. First the people asked for spies to be sent (Devarim 1). Then Moshe asked God what to do (not explicitly recorded in the text). On the other hand, Dr. Brown seems to be saying that Moshe lied to the people in Devarim and God let the lie stand and be included in the Torah! Now, let’s be clear. I have no problem with someone suggesting a new interpretation of the Torah. We see it all the time. 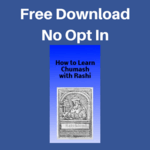 Rashbam disagrees with Rashi. Ramban at times argues strongly against Rashi and Ibn Ezra. I am, however, bothered by an interpretation that seems to me to raise a new difficulty in the text. I think Leadership in the Wilderness is appropriate for those who are interested in the challenges and pitfalls of leadership. Also, readers who appreciate Dr. Brown’s approach to understanding the Torah will enjoy this book. Even those readers, like myself, who disagree with her Torah commentary, can still find value in her book. I’ve said it before and I’ll keep saying it. A book like this must have an index! At the very least there should be an index of Torah and talmudic sources that are quoted. I’ve told people before that between one third and one half of the Jewish books that are sent to me for review should never have been published. Though I disagree with much of Dr. Brown’s Torah commentary, I think her insights into leadership are very worthwhile. Leadership in the Wilderness. Published by Maggid Books. 241 pages. Disclosure: I was given a review copy of Leadership in the Wilderness by the publisher. 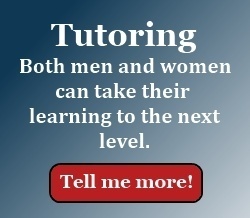 from Amazon using this link provides financial support to Thinking Torah.